Oriole Ammonite was a name that I wanted to call my son Jasper but was nixed by my husband. I had this image in my mind when I thought of the name so I had to make it into a woodcut. 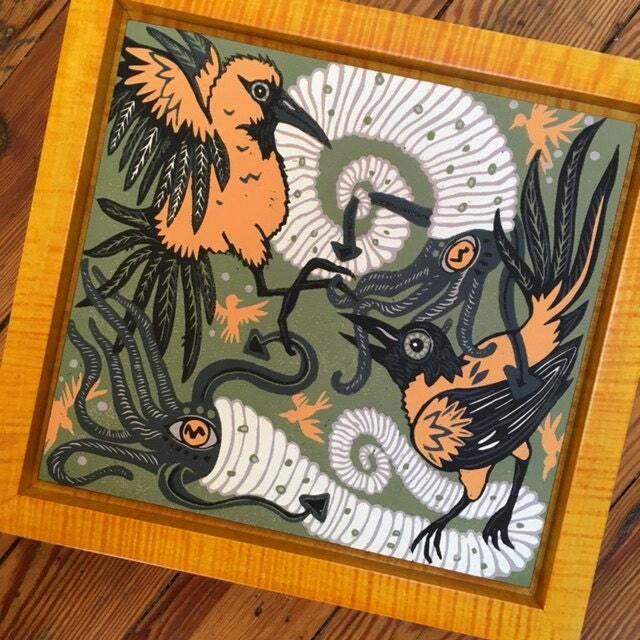 Oriole's are such a fun bird to make art about...it was good to have an excuse to portray one in a woodcut. 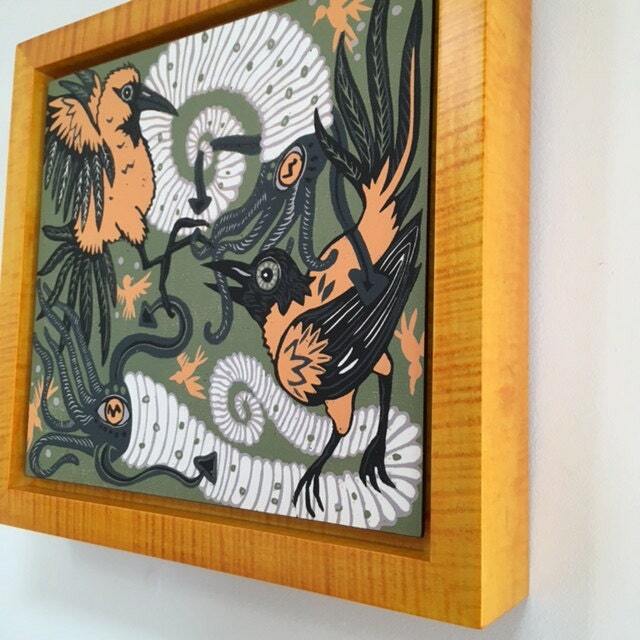 image size 10" x 11"
(almost out of this edition. 3 left!